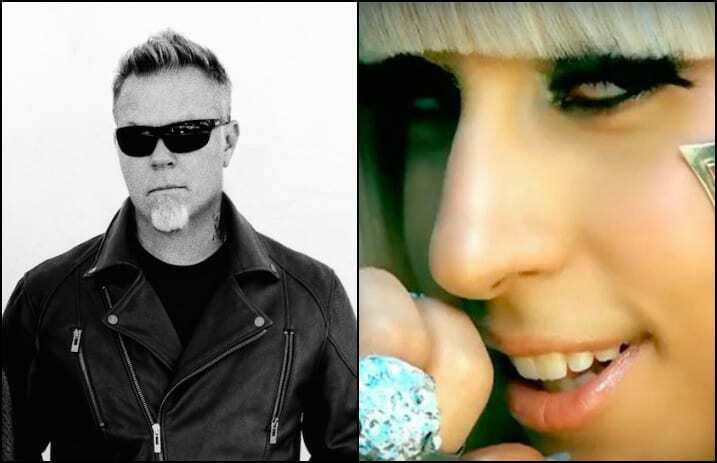 James Hetfield of Metallica is apparently not interested in collaborating with Lady Gaga again, according to a new interview. However, the Metallica guitarist-vocalist was quick to commend Gaga's exuberant work ethic, citing her boundless spirit in attempting to overcome the technical difficulties that plagued the pair's joint Grammys gig in February. Hetfield's apparent Gaga ambivalence seemingly stands in contrast to Metallica drummer Lars Ulrich's take on Gaga, in which he told Rolling Stone that she was the band's “quintessential perfect fifth member” and praised their collaborative Grammys performance.